Dr Suzuki trained in medicine at Osaka City University and completed specialist training in Japan. Her specialist interests include the prevention, diagnosis and management of intestinal diseases utilising endoscopy. She has a particular interest in complex therapeutic endoscopy such as endoscopic submucosal dissection. Currently she is a NICE committee member for lower GI ESD and the technical lead in the BSG ESD interest group. 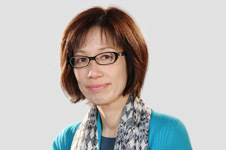 Also she has strong relationship with Japanese gastrointestinal society being an international committee member of Japanese Gastrointestinal Endoscopy Society and an international advisory member of the International Gastrointestinal Endoscopy Training Center in Kobe (I GET KOBE). She has published over 70 papers in mainly endoscopy related journal such as Gastrointerstinal Endoscopy and Endoscopy. Her PhD was in “Flat neoplasms in Western and Japanese population”.